Visual identity for Nicaragua's national cattle ranchers association. 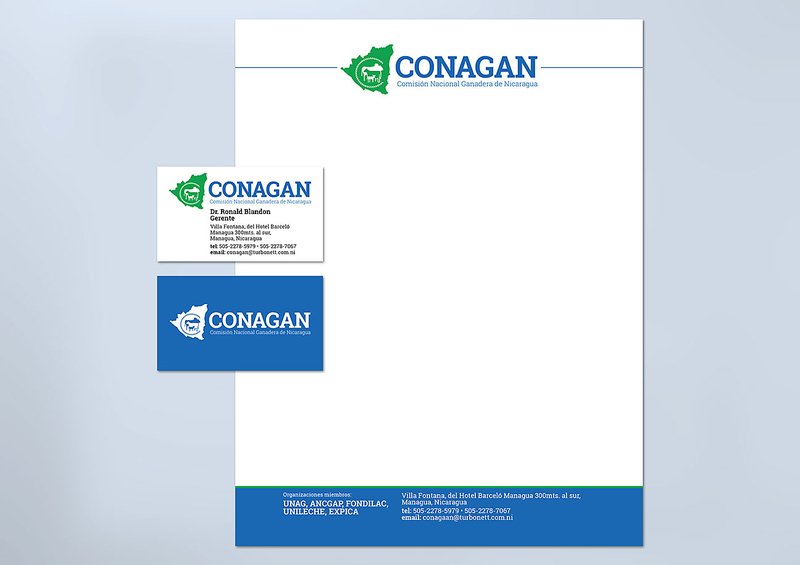 Design of the brand and visual identity for CONAGAN, Nicaragua’s national cattle ranchers association. The identity entailed a mark, print collateral, and promotional materials. This project was developed on a volunteer mission for USAID’s Partners of the Americas, coordinated by Florida’s mini peace corps, FAVACA, in an effort to aid Nicaragua’s beef industry.